With KTM quitting Dakar, all the buzz centers around 450cc Japanese bikes stepping up to the top level of competition. Since Suzuki was likely just as surprised about the new 450cc limit as KTM was, we're guessing the newfound readiness for competition in Argentina is more happy coincidence than deliberate design. 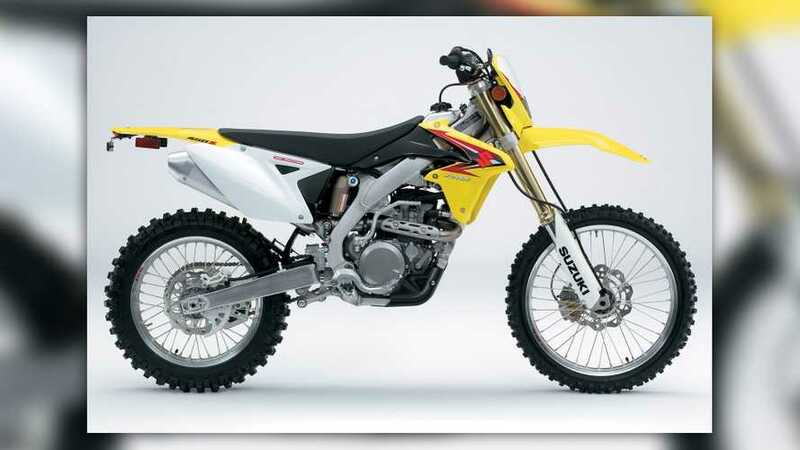 Still, the 2010 Suzuki RMX450Z, essentially a retuned version of the RM-Z 450 MX bike, is a seriously competitive enduro. Replacing the somewhat lackluster Suzuki DR-Z400E, the new RMX is equipped with the liquid-cooled, DOHC 449cc four-stroke from the RM-Z, here with a longer inlet tract and revised cam profiles for stronger low- and mid-range power at the expense of top-end shove. Over its MX counterpart, the RMX also gets wider ratios for its 5-speed gearbox and a new engine protector plate to ward off all those stumps, boulders and forest animals enduro riders are likely to encounter. The rest—frame, suspension, Keihin fuel injection, bodywork—are virtually identical to the RM-Z. That suspension is a fully adjustable 47mm USD fork and a Showa piggyback shock supporting an 18-inch rear wheel. Unfortunately, the RMX shares the RM-Z's tiny 1.6-gallon tank, meaning there's going to be a huge demand for more capacity in the aftermarket. Suzuki now quotes a liquids-included curb weight for the RMX—272.3lbs (123.5kgs)—so it's hard to make comparisons to the 262lbs (dry) DR-Z400E, but we're guessing it sheds a few pounds. Compared to the brand-new and battery-less 250.4lbs (curb) 2010 Kawasaki KX450F MX bike, the RMX stacks up pretty well, only adding 25.3lbs to the RM-Z.